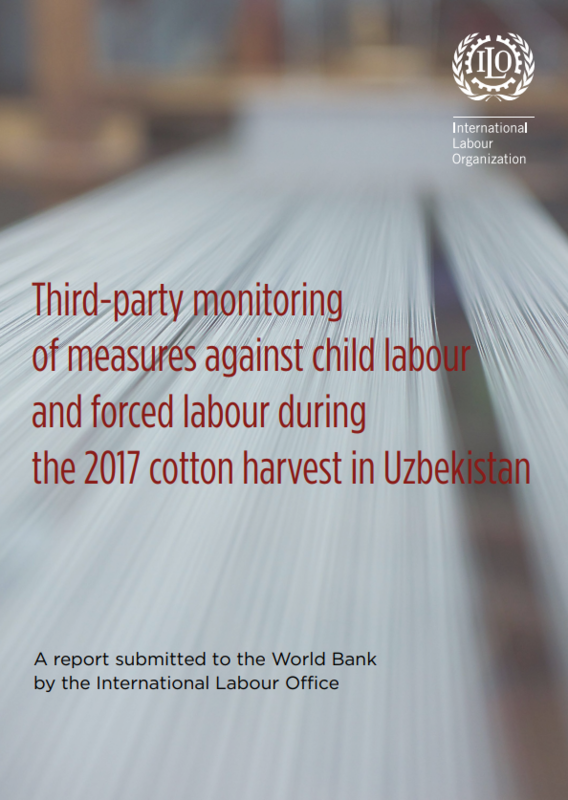 string(1307) "Resource Centre > Uncategorized > Third-party monitoring of measures against child labour and forced labour during the 2017 cotton harvest in Uzbekistan"
There is no systematic use of child labour in the cotton harvest in Uzbekistan and significant measures to end forced labour are being implemented. The annual cotton harvest in Uzbekistan is a unique large-scale effort. In 2017, an estimated 2.6 million people were recruited to pick cotton during a period starting in September and stretching out to early November. Most cotton pickers were recruited voluntarily, with the added encouragement of raised wages. A certain number pick cotton during at least some part of the harvest as a result of persuasion, pressure or coercion. For five years now, the Government and social partners – employers and trade unions as well as civil society representatives – of Uzbekistan have been engaged in implementing policies with the aim of ensuring that all recruitment and cotton picking is voluntary. This process has significantly been intensified due to high-level attention paid to the issue, improved governance, measures to enforce voluntary recruitment and increased transparency and national and international dialogue and cooperation. Over this period, the International Labour Office (ILO) has concluded that the systematic use of child labour in Uzbekistan’s cotton harvest has come to an end. This is based on observations made through monitoring of the harvest and various forms of technical cooperation since 2013. Today, there is clear political commitment at central level to completely end the use of forced labour. In 2017, this commitment has been expressed at the highest political level and concrete measures are being implemented. The most authoritative signal of change was given by the President of Uzbekistan, Shavkat Mirziyoyev, in his speech at the General Assembly of the United Nations in September 2017, and by the subsequent measures taken nationally to implement a policy of voluntary recruitment for the cotton harvest.